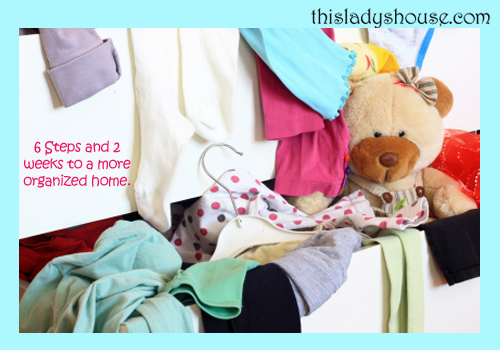 I have had the opportunity to discuss household organization with many different people in the last few weeks. During these conversations I have noticed that the general attitude towards organization tends to be one of two basic ideas. Either you enjoy the process of cleaning, planning, rearranging and creating or you metaphorically throw in the towel and admit to yourself that you don’t like doing it so it will stay undone until you can find the extra money to hire a professional to help you. Today I would like to make an argument (as I often do) for a bit of moderation. If you receive my newsletter you may have noticed that I have a small handful of personal mantras that keep me focused and remind me to relax and stop worrying. One of these is, “moderation in ALL things”. I know we all fall into the habit of flipping through endless Better Homes and Gardens magazines and we think to ourselves, ‘why can’t my house look like that?’ Or we visit a friend and we leave thinking, ‘she has it all together, did you see how clean her kitchen floor was?’ My favorite Pinterest photos are the ones of perfectly organized closets that have a total of 10 items. Look at this picture I found on forrent.com. The information from the post is useful but the picture is misleading. Unless, of course you only own: 4 pair of shoes, 3 ties, 4 sport coats, 6 pairs of slacks, 4 button up shirts, 5 pair of jeans, and 9 folded t-shirts. In which case I suggest you get a new laundry plan becauseonce a week laundry is NOT going to work for you! So what is the answer? 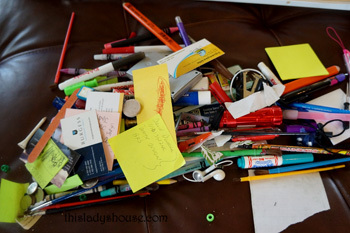 We all have too much stuff, but if organization is not our ‘thing’ is there any hope for us? YES. THERE. IS! 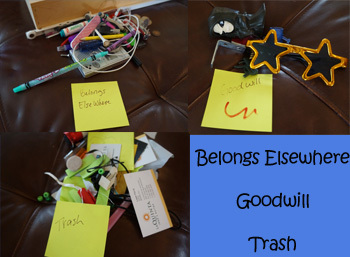 I do enjoy the process of emptying, cleaning, sorting, and replacing but I am not creative. I don’t want to spend the time or brain power coming up with unique ways to stash all of my junk. I want to identify my problem, find a picture of what someone else has done and then copy their idea. I’m looking for quick ideas so I can quickly fix my problem and move on to something different. I have a family member who isn’t at all interested in organizing her house. Sure, she wants it to BE organized; she just doesn’t want to do it herself. In a lot of ways she feels like I do, she wants to identify the problem, find a good solid solution and get it done FAST! 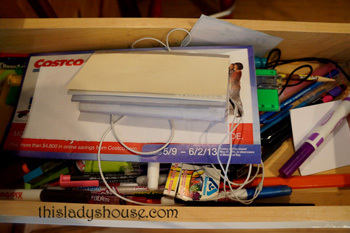 So, if you are ‘one of THOSE’ people who has thrown your hands in the air and resigned yourself to the reality that your home will never be as perfectly organized as the lady down the street I am here to tell you it doesn’t have to be this way! 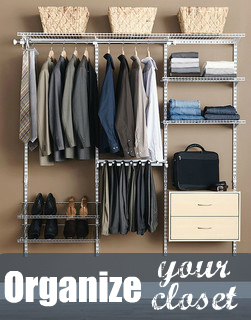 Remember to look at organization in moderation and start small. Choose a room, or a closet, or a drawer that is really bothering you. 6.Put away what is left in your other piles. Be sure this is the LAST thing you do or you run the risk of being distracted by other projects in other rooms. For those of you who appreciate a good ol fashion check list here are some of the spaces that make me feel crazy when they get a little out of hand! Pick one item or location each day and in two weeks you will feel like you have made some good progress in organizing your home! Baking Supplies – measuring spoons, cups, rubber scrapers, whisks, etc. Taking projects one at a time makes everything seem so much more doable. Notice I didn’t add to my list clothes, toys, food storage, or garage. These projects are big and will most likely require multiple days of planning, cleaning and arranging. Do the small stuff first and save the big stuff for a time when you have a few days and possibly some help from a husband or friend. We don’t all need to be as organized as Martha Stewart and I guarantee Martha’s photographers do a bit of rearranging before each and every photo shoot to remove large quantities of items. Organization always looks great if there are only a few items but be realistic and remember, your space can still look nice and be functional even with a normal persons amount of stuff. Sometimes we FEEL unorganized because we are overwhelmed with seeing so many things at once. Getting rid of our excess belongings will go a long way in making us feel more put together. 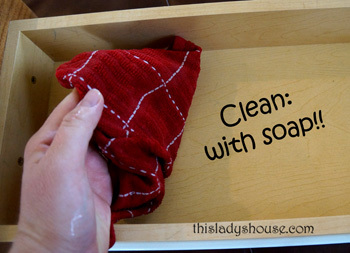 I also believe that we will appear more organized if our homes are clean and uncluttered. Check out ‘How to Clean your House like a Professional’ – ‘Just do it Everyday’ and Managing Clutter for tips on making your home clean and clutter free! 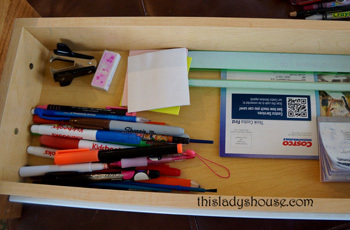 What are some of the spaces you have the most difficulty organizing?